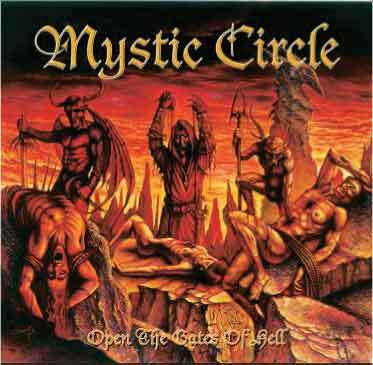 The leading German death/black metal trio MYSTIC CIRCLE were founded back in 1992 by bassist/singer Beelzebub and after releasing three demos they launched their debut CD "Morgenröte" in 1997, which was released on Last Episode, followed by the albums "Drachenblut" (1998) and "Infernal Satanic Verses" (1999). Let's call this the "German" episode. 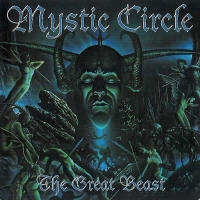 The international chapter began in 2000 when MYSTIC CIRCLE signed to Massacre Records and released "The Great Beast", followed by their stroke of genius "Damien" in 2002 and "Open The Gates Of Hell" in 2003. 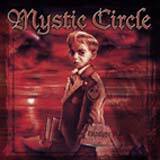 After the release of their first Best Of album accurately related to "Unholy Chronicles 1992 – 2004" they signed a contract with Dockyard 1, which marked the commencement of a new Mystic Circle area. Now they're taking a new step with their 7th full length album "The Bloody Path Of God" - citing the old Black Metal roots, but evolving further into the no man's land between Death and Black. 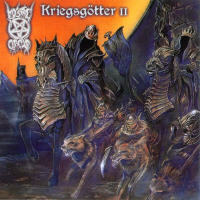 Changing guitars between blastbeats and tight riff-picking show a mature band very eager to go beyond the boundaries. Guitar player Ezpharess comments: "We're taking one step back to our early black metal roots with "The Bloody Path Of God" We used keyboards again, to provide the haunted atmosphere songs like "Doomsday Prophecy", "Riders Of The Apocalypse", "The Forgotten" or "Unholy Terror" deserve. Also singer Beelzebub is screaming again, and doesn't use the death-metal-alike growls of "Open The Gates Of Hell" anymore." 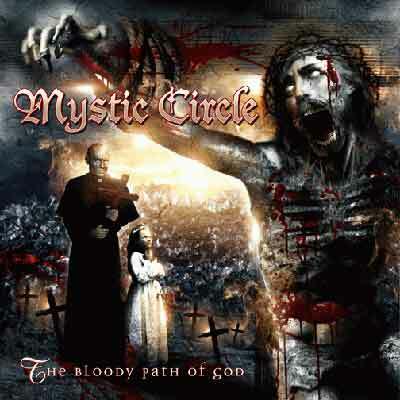 "The Bloody Path Of God" features 12 Tracks and the last one is a CELTIC FROST cover of the all time classic "Circle of the Tyrants". The Album was recorded September – December 2005 with producer Alex Koch at his new "State Of The Art" Studio in Ludwighafen. 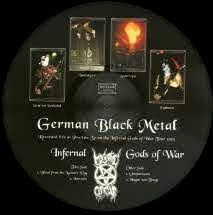 Going backwards to their roots musically, they are making a big step forward soundwise and against the sensibly flat kept sounds of the early 90´s classical Black Metal albums, guitar and drum got the voluminous sound they deserve. Vocalist and bass player Beelzebub comments: "We wanted a sound like this since over ten years, finally we found a producer who was able to create it." 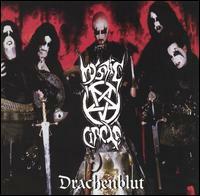 Even though he had left the band as an active member in autum of 2005, for the recordings Koch changed his engineer seat once more against his old drum stool, stepped back into his moniker as "Necrodemon" and played the drums himself. 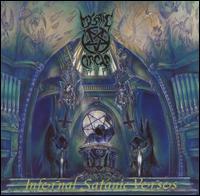 His successor will soon be presented for the first shows, till then the line-up stays reduced to the max – guitarist Ezpharess and vocalist/bass player Beelzebub performing the ultimate "infernal duo".